The bittersweet soundtrack of your favourite nightmare. They’re almost completely unknown. Nobody knows their names or has seen their faces. Until the Spring Break festival, no one knew what their concert is like. It was during this event that NOT PRETTY ENOUGH made their stage debut, but they had already managed to create confusion among Polish journalists and listeners. As it turned out, the confusion was reaffirmed by what the duo presented during the show. NOT PRETTY ENOUGH offers something completely different from other genre compatriots in Poland. The musicians have found a golden middle between catchy dream-pop and an eclectic combination of ambient music and trip-hop. 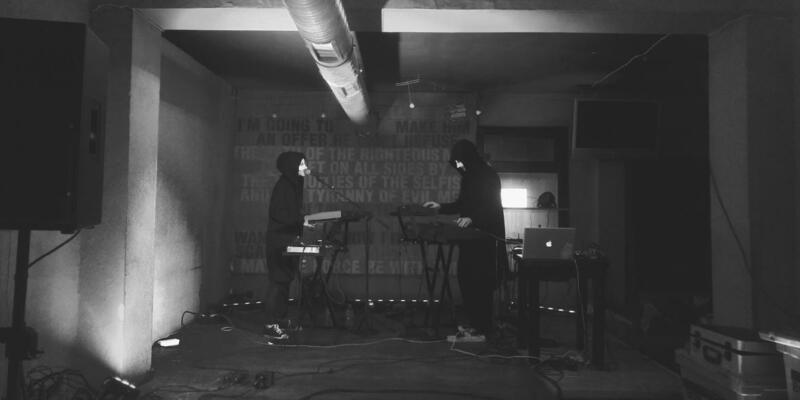 Their sound is reminiscent of Beach House or Blue Hawaii, infused with Sleep Party People psychedelia. The hooded artists, hiding behind white masks, bestow a dark, awe-inspiring aura on their performance. A filter applied to the voice of the female vocalist makes the whole thing even more enigmatic – her voice sounds as though it’s coming from a phone or a broken radio in an abandoned house. Breaking up the ambient passages with bass sequences and keyboards, the music gives off the vibe of a soundtrack to a sleepy nightmare. But in spite of the sense of horror, you don’t want to wake up, fearing that you might miss something.